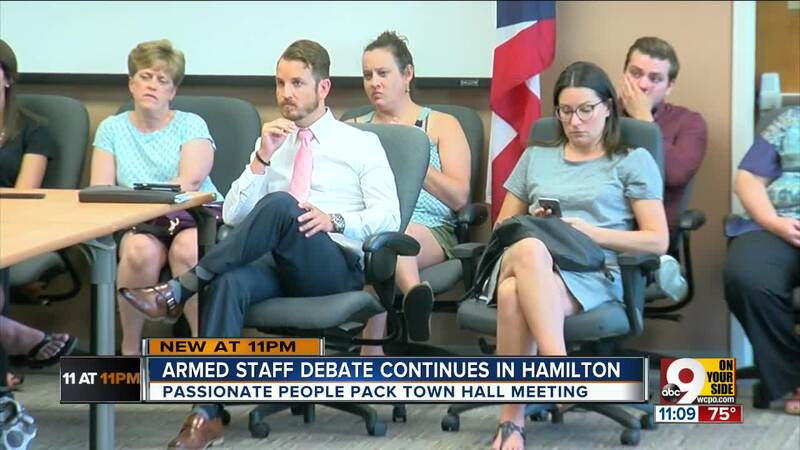 HAMILTON, Ohio -- Will armed staffers make schools safer? 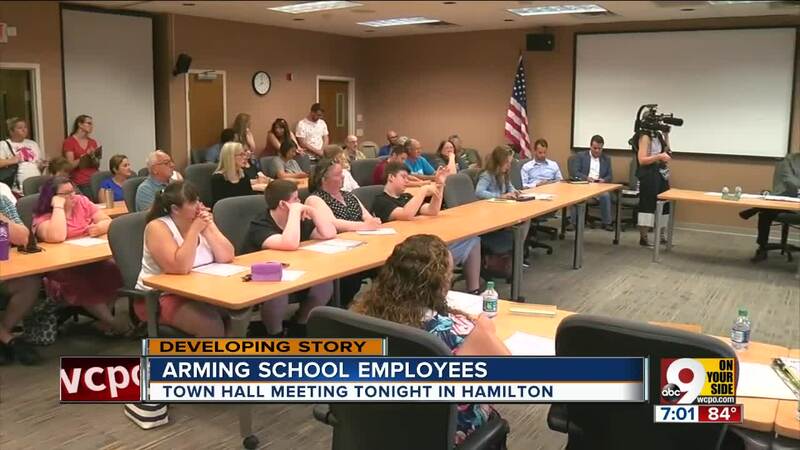 The Hamilton City Schools community debated that issue at a town hall meeting Wednesday night. Hamilton police and school officials recently announced they're considering allowing qualified employees to be armed. The plan has received mixed reaction from teachers and parents. "I will sign any levy that makes that building safer," parent Mary Snellgrove said. "I will not support this board if they arm staff." "The people that can be armed and are trained properly, I think should be there if they want to," said grandfather Jim Lakes. "They must choose to." Allowing staff to carry firearms is just part of the latest school safety plan the district has been considering for the past six months. It also includes random checks with handheld metal detectors, adding more school resource officers and starting a mental health outreach program for students. Hamilton police have helped them with the safety plan. "With the right oversight and training, I think we can do it right and I think we can make our schools safer," Police Chief Craig Bucheit said. Butler County Sheriff Richard Jones said he was asked if he wanted to speak at the public forum. He attended, but decided to just listen. Jones strongly supports arming school staffers. "The school superintendent gave me his word. We will see if he is a man of his word or not," Jones said. "He gave me his word that there would be school personnel, they would be armed." But Superintendent Larry Knapp said that wasn't quite the case. "I did not give Sheriff Jones my word," he said. "We discussed having armed staff. In our discussion with him, he asked if we were talking about doing that, and I said 'Yes, the board had been moving towards that.'" As some people continue to strongly oppose the idea, Knapp said there is no timeline for when a decision will be made. If the district does allow school staffers to be armed, it would be a very limited number, according to Knapp. Right now, they're looking at people with a military or law enforcement background. Out of about 1,200 employees, only two people meet the initial criteria.